Toxics (ISSN 2305-6304) is an international, peer-reviewed, open access journal which provides an advanced forum for studies related to all aspects of the toxicity of chemicals and materials. It publishes reviews, regular research papers, and short communications. Our aim is to encourage scientists to publish their experimental and theoretical results in detail. There is, therefore, no restriction on the length of the papers, although authors should write their papers in a clear and concise way. The full experimental details must be provided so that the results can be reproduced. Electronic files or software regarding the full details of calculations and experimental procedure can be deposited as supplementary material, if it is not possible to publish them along with the text. Methodologies to eliminate or reduce the exposure of humans and the environment to toxic chemicals and materials. The Journal comprises four Sections (Environmental Chemistry, Ecotoxicology, Toxicology and Public Health, and Risk Assessment and Management) each managed by an Editor. If you are unsure as to whether your paper fits the Journal Scope, please contact the Editor in Chief or the relevant Section Editor. Toxics also includes Special Issues that bring together a collection of papers on a topical theme on chemical toxicity. These Special Issues are coordinated by a Guest Editor. If you have an interesting idea for a Special Issue, then please contact the Editor in Chief. 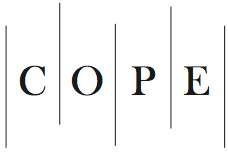 Toxics is a member of the Committee on Publication Ethics (COPE). MDPI takes the responsibility to enforce a rigorous peer-review together with strict ethical policies and standards to ensure to add high quality scientific works to the field of scholarly publication. Unfortunately, cases of plagiarism, data falsification, inappropriate authorship credit, and the like, do arise. MDPI takes such publishing ethics issues very seriously and our editors are trained to proceed in such cases with a zero tolerance policy. To verify the originality of content submitted to our journals, we use iThenticate to check submissions against previous publications. MDPI works with Publons to provide reviewers with credit for their work. Announcements regarding academic activities such as conferences are published without charge. Advertisements can be either published or placed on the pertinent website. For further information, please contact the editorial office.